Welcome to the Nonfiction Monday Roundup! Nonfiction Monday is the brainchild of Anastasia Suen. Bloggers across the kidlitosphere celebrate Nonfiction Monday by writing about nonfiction books for kids on Monday. o Write about a nonfiction book for kids on a Monday on your blog. o Copy the Nonfiction Monday button to use in your blog post. If you are unable to add a comment, please feel free to email me and I will add your post asap. On another note- Happy Thanksgiving! This has been a really rough year for our family, so it is even sweeter to make a list of things for which I am grateful and realize things aren't as bad as they seem. One of the things I am thankful for is my readers and fellow kidlit bloggers, who indulge me in my hobby and let me talk about complete nerdery without judgment. I wish you all love and happiness this Thanksgiving. 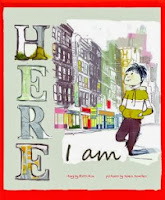 At NC Teacher Stuff, Jeff Barger has a book about a young child who immigrates from Asia to the US, Here I Am. 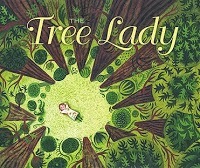 The story of a very pioneering young 19th century woman is the focus of The Tree Lady: The True Story of How One Tree-Loving Woman Changed a City Forever, featured at Shelf-Employed. 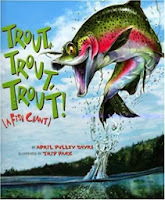 Jennifer is doing something fishy at the Jean Little Library; her book is Trout, Trout, Trout. Resh introduces a wonderful story about animal migration, Is This Panama? 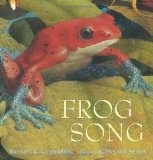 The beautifully illustrated Frog Song is Sondra's pick over at Sonder Books. For Columbus Day, Anastasia Suen has 1492, New World Tales. Budding artists will appreciate Janet Squires' pick, So You Want to Be a Comic Artist? Cindy and Lynn at Bookends chose Digger Dozer Dumper, which is a poetry book that packs a lot of power. 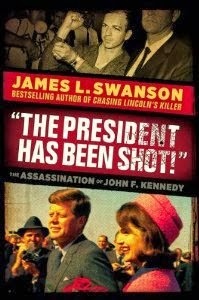 Abby the Librarian has a riveting story called The President Has Been Shot: The Assassination of John F. Kennedy. 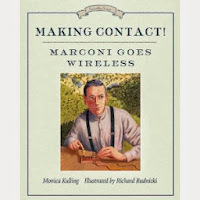 I have the newest book in the Great Idea Series from Canadian Monica Kulling, Making Contact! Marconi Goes Wireless. It's not nonfiction, but it does deal with the very real issue of adjusting to a new country so I felt obliged to post. Sadly, no nonfiction today, but thanks for hosting. And if I had remembered about Canadian Thanksgiving, I would have had chicken and mashed potatoes tonight instead of yesterday. Now I'm curious as to what a Canadian Thanksgiving entails... Here's to a better year! I think most people in Canada celebrate it on the Sunday anyway- so we have Monday to be bloated :). Canadian Thanksgiving is probably the same as US Thenksgiving, but less pilgrim talk and more butter tarts! Is it really Tuesday there? It's Tuesday now! I'm 12 hours ahead of the US east coast. Happy Thanksgiving and thanks for hosting! I hope you have a fantastic year ahead! 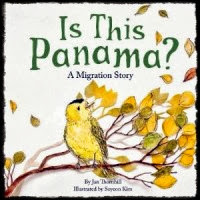 At Stacking Books we are reading "Is this Panama?" Its a story about migration. Just for fun -- " So, you want to be a comic book artist? 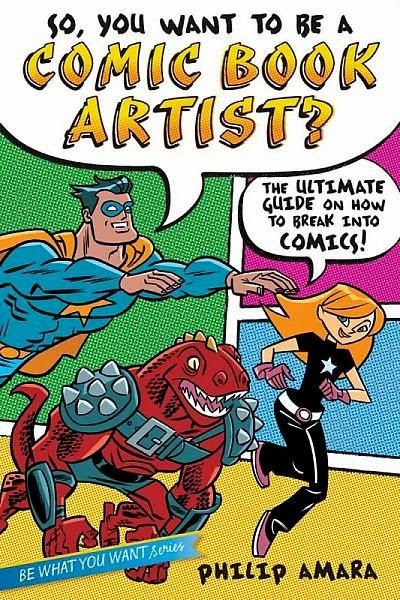 : the ultimate guide on how to break into comics!" by Philip Amara. Happy Thanksgiving to you! I hope it's a joyous time with your family. I'm so sorry to hear it's been a rough year for you. I wish you the best in the upcoming year. I too have had a rough past six months, but I'm grateful for many blessings and many wonderful things in my life. As you said, our #kidlit blogging community is truly a special place to share ideas, books and laughs. Cybils : Only 2 days left for nominations!